Alberta should publish regular forecasts of the oilsands' expected greenhouse gas emissions and authorize more stringent restrictions if the estimates approach the annual 100-megatonne limit, according to the first report from The Oil Sands Advisory Group. Alberta should publish regular forecasts of expected greenhouse gas emissions from the oilsands and authorize more stringent restrictions if the estimates approach the annual 100-megatonne limit, according to the first report from The Oil Sands Advisory Group. The report, released Friday by OSAG, recommends the province publish annually a forecast of greenhouse gas emissions from the oilsands for the next year and the next decade in order to monitor compliance with a 100-megatonne per year emissions cap established by the government. "If the 10-year forecast indicates that oilsands emissions are expected to exceed the 100-megatonne limit within 5 years, this would trigger more stringent actions to ensure compliance with the limit," the report reads. If the one-year forecast indicates emissions will exceed the limit, then the most emissions-intensive facilities in the province would face a "mandatory emission reduction requirement equivalent to the amount needed to stay below the limit," the report says. In that event, the group recommends a $200 per tonne penalty for companies that exceed their reduced emissions limits. "In addition, the Minister of Energy or Environment would also have the authority to suspend project approval of facilities that have not yet started construction," the report says. The provincial government created OSAG to offer advice on how to implement its annual 100-megatonne limit on the oilsands industry, as part of Alberta's broader climate change strategy. The group consists of members of industry, environmental groups and officials from several Alberta municipalities and First Nations. The OSAG report is non-binding. Any actual policy changes would need to be approved by the Alberta government. 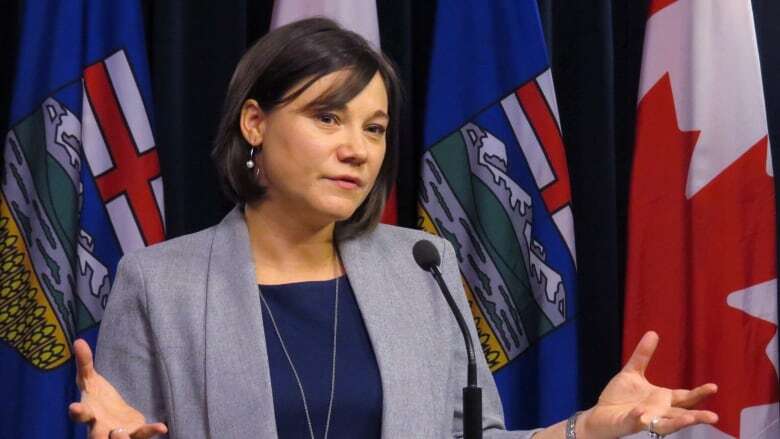 Environment Minister Shannon Phillips said Friday the government would review the advice and immediately begin consultations with affected Albertans. The 100-megatonne annual limit on oilsands emissions was created with the goal of giving the industry room to keep growing while curbing the amount of greenhouse gases emitted per barrel of oil extracted. The province also hopes to reduce emissions "intensity" in this manner with a parallel policy — new "output-based allocations," which are essentially subsidies that will reward the province's most efficient energy producers and create incentives for innovation. The OSAG report calls for "an evaluation of the innovation system" when emissions reach 85 megatonnes, and a further review if they reach 95 megatonnes. Currntly, the oilsands emit about 70 megatonnes of greenhouse gases per year. OSAG co-chair Dave Collyer said oilsands output now stands around 2.5 million barrels per day, and he doesn't believe the emissions limit would really start to have an impact until output reaches four million barrels per day. "Beyond that, it's very much a function of what technology and innovation brings to bear and how we reduce GHG emissions intensity," said Collyer, a former CEO of the Canadian Association of Petroleum Producers. He cautioned that he was speaking in approximate numbers. 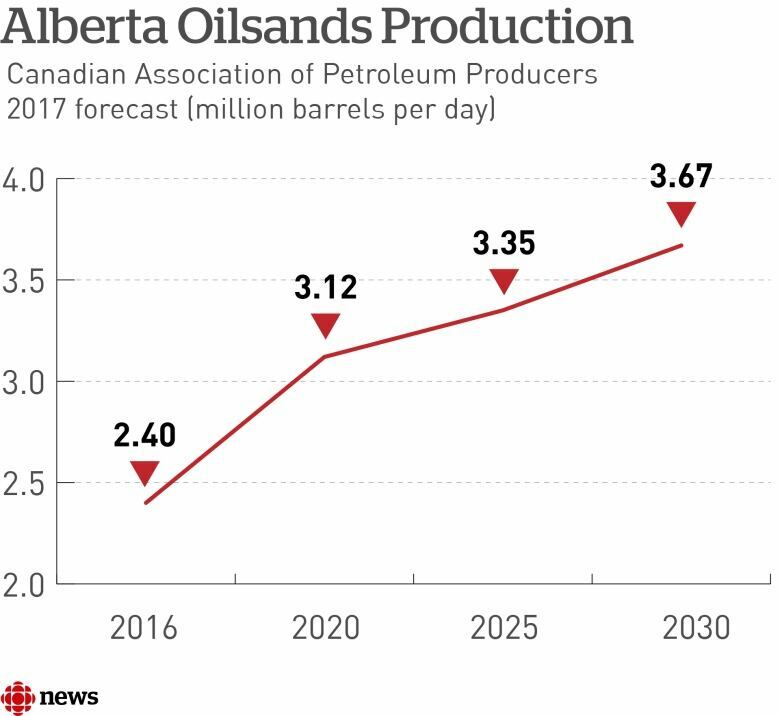 In its latest forecast, released earlier this week, the Canadian Association of Petroleum Producers forecasts oilsands output will reach 3.67 million barrels per day by 2030. Alberta's Opposition Wildrose criticized the report's recommendations, particularly with respect to the ability for government to suspend new projects if the 100-megatonne limit is about to be exceeded. In a release, the party said that would set a "dangerous precedent that could further stifle growth in Alberta's oilsands." "The NDP government continues to fail to acknowledge the current economic climate in our province, and should they accept this report in its entirety, will hamper further growth and investment that would only serve to hurt everyday Albertans," Wildrose leader Brian Jean said. "In particular, the recommendations on this growth cap sends a strong signal that Alberta is not open for business at a time we can least afford it." Phillips also revealed Friday that a controversial member of OSAG would be soon be departing the group. ​Tzeporah Berman — an environmental activist who publicly criticized last year's federal approval of the TransMountain pipeline expansion and once compared Alberta's oilsands to Mordor (the fictional, scorched lands in the Lord of the Rings stories) — will be "concluding" her work with OSAG, Phillips said. 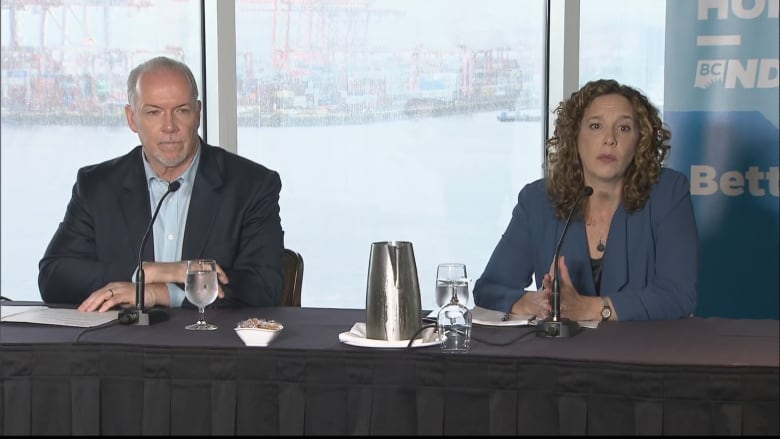 The Wildrose had criticized the NDP government for appointing ​Berman as a co-chair of the group, saying she "is openly at war with the energy industry." Phillips said Friday that Berman is leaving because her work with OSAG is nearly complete. "The first two tasks were really quite outward-facing tasks: the conversation with other Canadians and our international reputation on taking climate action," the environment minister said. "So she and a couple of other voices who were there for an external perspective, their work is now finished — or coming to be finished." Asked if Berman's outspoken comments during the recent B.C. election had anything to do with her departure, Phillips replied tersely: "No."